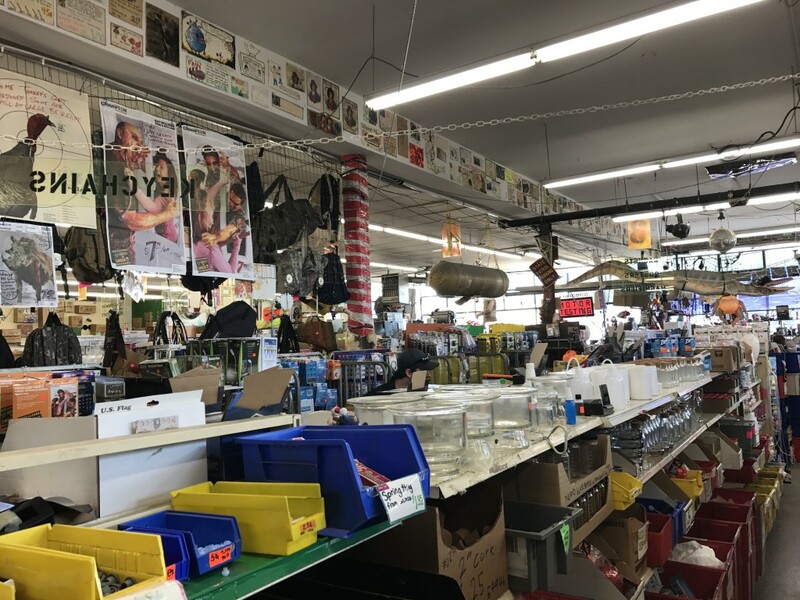 It’s the closest thing to a “Curiosity Shoppe” in Minnesota, but that doesn’t even begin to describe it. 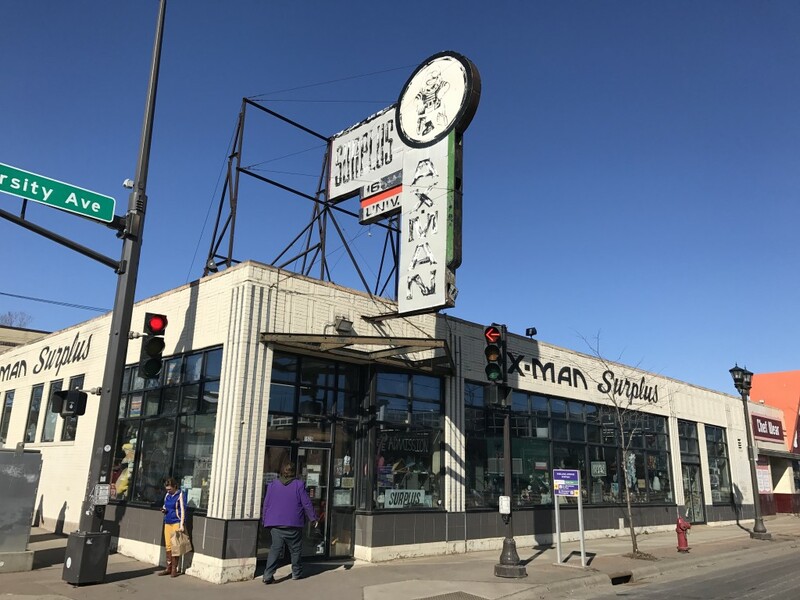 Ax-Man Surplus is a chain of 3 stores in the Minneapolis-St. Paul metro area, but the original and biggest one on University Ave in St. Paul holds the distinction of the weirdest store in Minnesota. 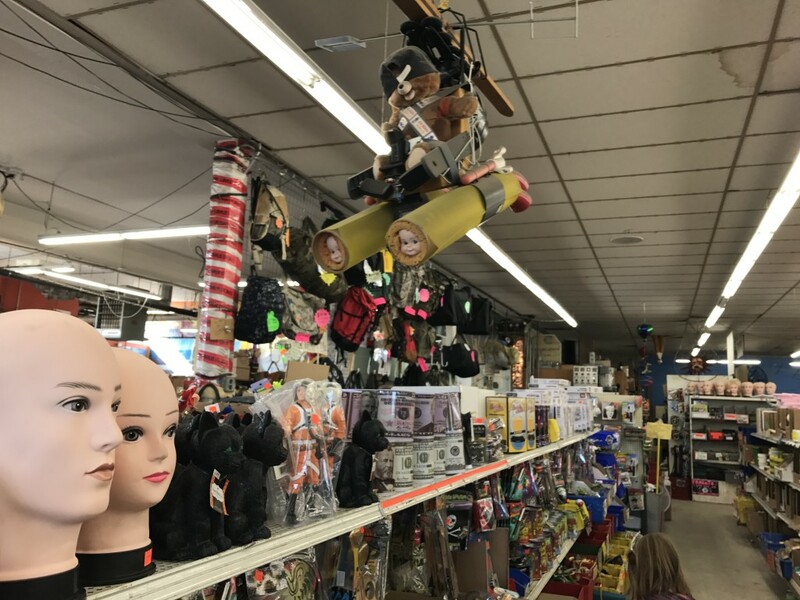 There are surplus items at Ax-Man Surplus. Some of the leftover bulk items date back decades. There are novelty items at Ax-Man. There are scientific things like Erlenmeyer flasks and test tubes. There are tools, nuts, bolts, screws, nails, washers. 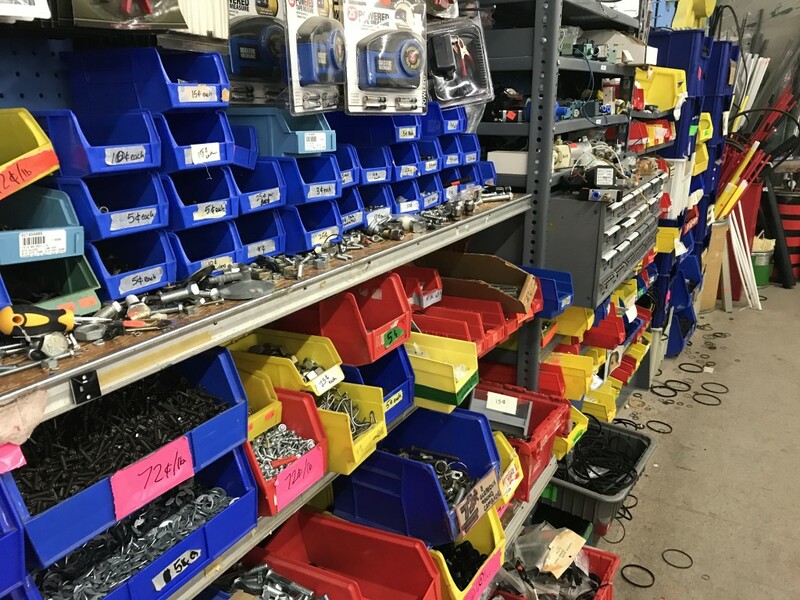 There are many aisles of electronic components. Some new, some used, all random. There are items that Ax-Man likely doesn’t know what they are. It’s all for sale, and for dirt cheap. Ax-Man is worth a trip even to just look around. There is quirky folk art, random statues, figures, witticisms, and tongue-in-cheek phrases abound. Most items came from a bulk purchase – they like old electronics, science lab items, outdated office supplies, novelty items, wheels for the bottoms of office chairs. 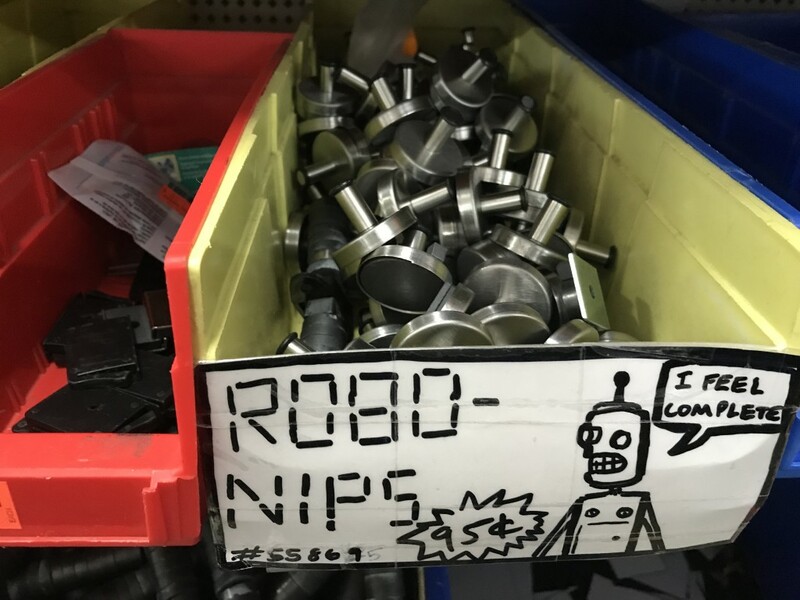 Almost all items have a handwritten sign with the price and a clever or irreverent quip about the item. Weird, kitschy art hangs on the walls and from the ceilings. This is not to say Ax-Man Surplus isn’t without its hidden gems. There is a good chance you will leave with something or another; you likely won’t know until you see it. It could be a deal you just couldn’t pass up, it might be something frivolous or whimsical. 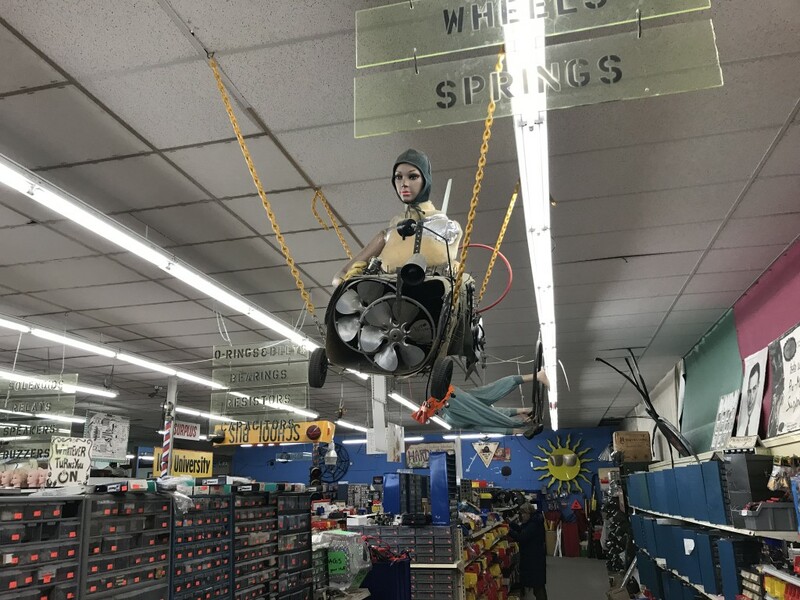 The employees are as quirky and fun as the store itself. 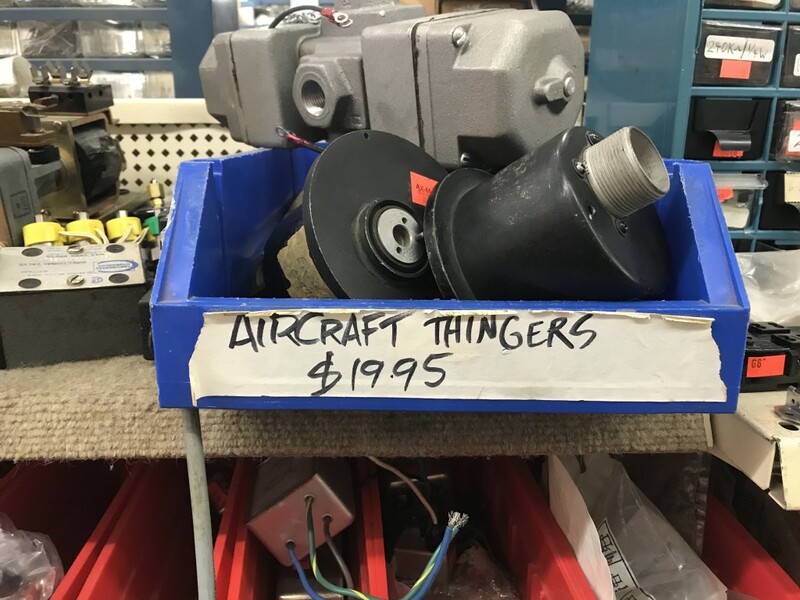 If you are a tinkerer, this place is for you. If you are a high school robotics team, this place is for you. If you enjoy the weirdest of the weird like me, this place is for you. 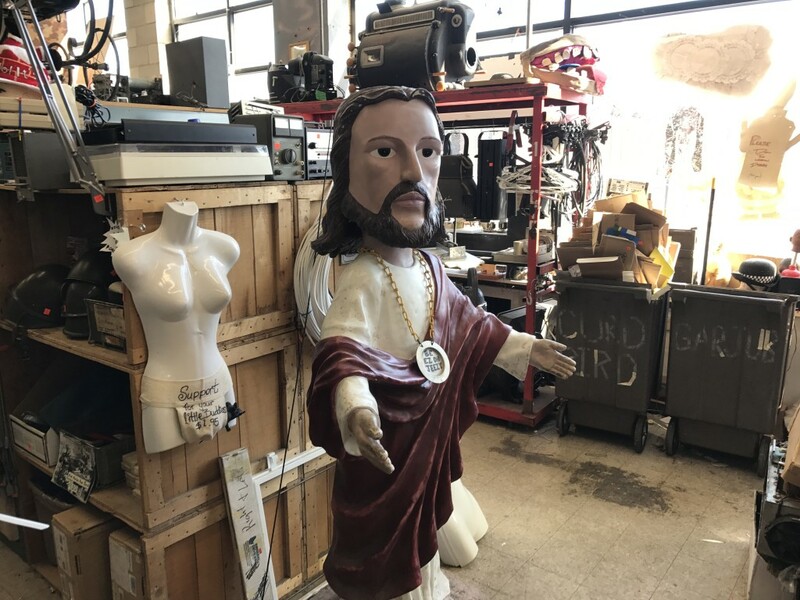 Sadly, Bobblehead Jesus is not for sale. But pretty much everything else is. It’s a treasure hunt; plan for at least an hour to wander the aisles and see what you can find. If you are into art projects or DIY stuff, you will most likely find something you can use. The kid in you probably will too. 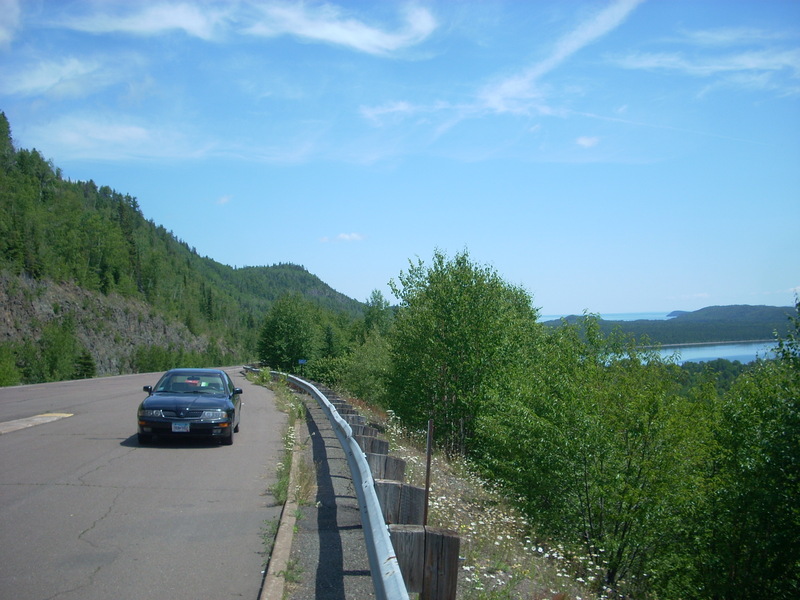 While in the area: Indulge your inner kid some more and head over to Can Can Wonderland afterwards for a turn on some vintage video games and the weirdest mini golf course in the state. Relax up top at Black Stack Brewing after that. Thanks for passing along this gem. I would love poking around here. There’s a lot to take in, but it’s worth a visit! I grew up with Ax Man. Always a fun weekend outing. Now my kids visit it from out of state. *one son did research on polio and we visited the iron lung. Employees let us take pictures. Snap, crackle and pop figurines were inside! It’s definitely a fun place to visit and find some hidden gems!